Finals recap: Game 1 | ENTOURAGE BASKETBALL INC.
Twenty six practice sessions, three friendlies, ten regular season games, two playoff matches, and it all led to this: the Crossover League Finals. Number one seed, Entourage Basketball Inc. putting their unbeaten record on the line against the strong second seed, Hougang CCMC. 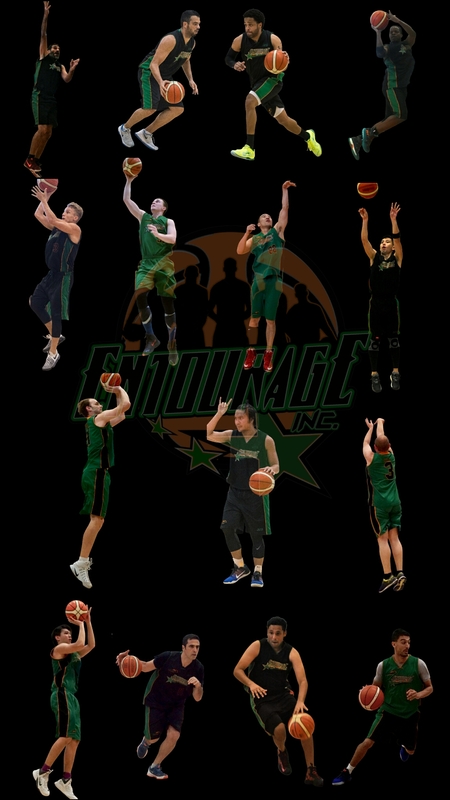 Hougang only lost one game in the regular season… to EntourageBBall Inc. Team E.B.I. on the other hand did not waltz through the playoffs, the offense was stagnant but their league-leading defense came through in wins against BTS and Avg. Joes. The men in green quickly got off to a good start, point Guard Javier scored the game’s first two baskets with strong drives to the rim and the team kept their opponents off the offensive glass. Starting bigs, Sebastien and Jean Baptiste were formidable in the paint, changing or blocking shots while grabbing every rebound in sight. The entire team was locked in on both ends of the court. Hougang seemed content with forcing isolation plays for their 2 main scorers, which played into their opponents’ hands, strong individual defenders being abundant on team E.B.I. By halftime, the number one seed had a 20-point lead and player-coach Jean Jacques shuffled up his lineups to give low-minute players more time oncourt. The second half performance by his team disappointed the EntourageBBall coach immensely, to say the least. Sloppy passing, turnovers, lack of ball movement and a surprising reluctance by the backcourt to share the ball were the hallmarks of the second half. The overconfidence displayed, a 20-point buffer notwithstanding, was also a topic at the team’s shooting session at Shotzone this week. Doing just enough on the offensive end to keep Hougang at bay and relying on their rebounding and defensive prowess, the team secured the 15-point win, taking the first game in the best-of-three series. Game two in the series is this Saturday at the SUTD Sports Complex. The entire Entourage Basketball Inc. roster is available and practicing in anticipation of this possible decider for the championship.